2Do I need experience or some minimum level of fitness? No. Our workouts will be scaled to your abilities. 3How do I start working out at CrossFit iQ? You can contact us for a Free Trial and experience a workout first hand. If you have already taken your Free Trial and would like to sign up full time, please call Wayne at 561-891-1258 to schedule an appointment to complete your paperwork. 4What if I am totally out of shape? You have to start somewhere. CrossFit will get you in shape faster than just about any other program out there. Yes. We teach proper technique and reinforce proper methods of training on a consistent basis. Improper training is unsafe, not CrossFit. 6How long before I see any benefits? You will see changes in your body within the first week if you put in the effort. Diet and nutrition are a big part of being fit and healthy. We are here to guide you on the right path. 8What do the workouts consist of? Warm-up, technique/skill or strength training and a short intense workout. Give it all you got and you’ll be spent by the end of your session. 9Why should I workout at CrossFit iQ and not some other gym? Besides a great facility and centralized location, CrossFit iQ delivers the proper training through excellent coaches. Almost anyone can open a CrossFit gym, but its the experience and passion for fitness that sets us apart. We are open 7 days a week with classes starting at 5am Monday-Friday. We also offering classes on Saturday starting at 9am and Sunday we offer Open Gym. 11I’m in great shape, is CrossFit going to help me? As stated above, workouts are scaled to your abilities. Military personnel, Fire Fighters, and Elite Athletes train CrossFit with great results. Give us a call or send a message to find out more! 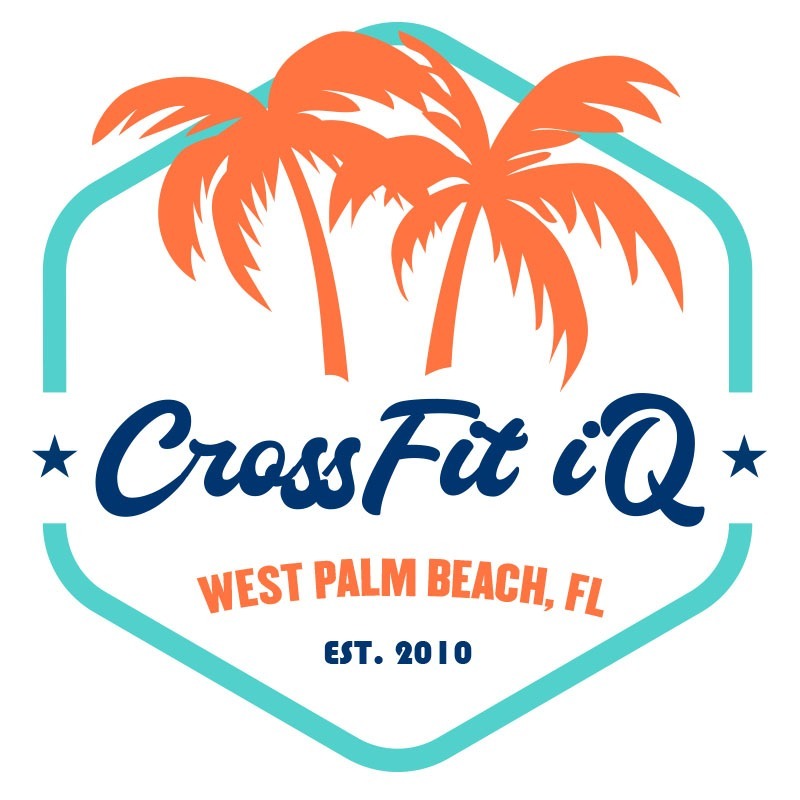 We were one of the first CrossFit gyms in the West Palm Beach area. We have been around since 2010 and our facilities are over 8,000 sq ft.